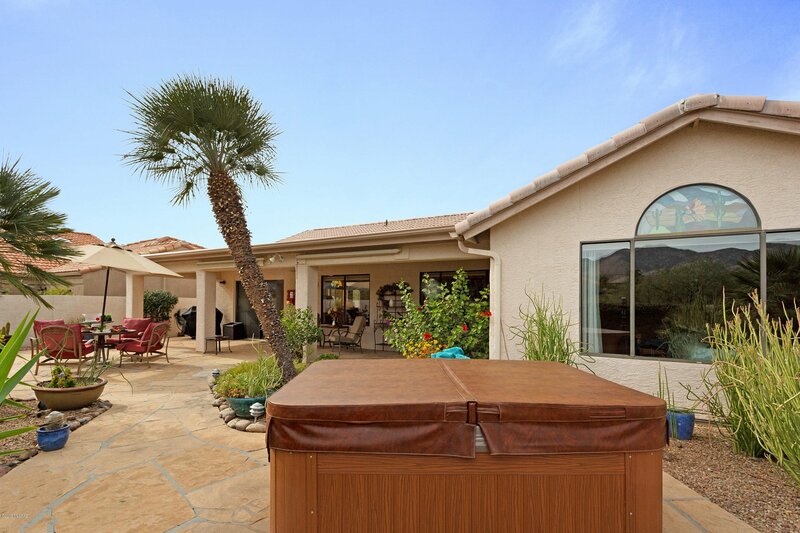 Beautiful TOPAZ GR remodel (2x6 construction) on elevated premium VIEW lot backs to common area w/no homes behind! 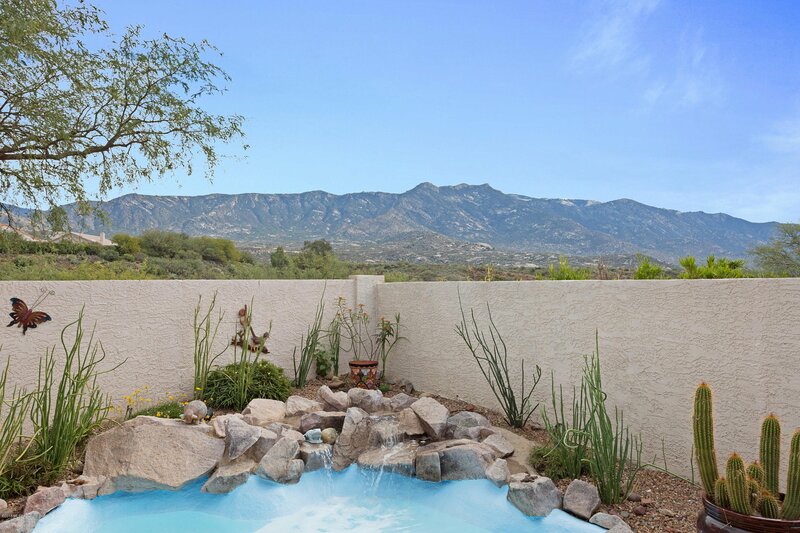 Expansive flagstone patio, lush landscape, spa & refreshing rock waterfall. 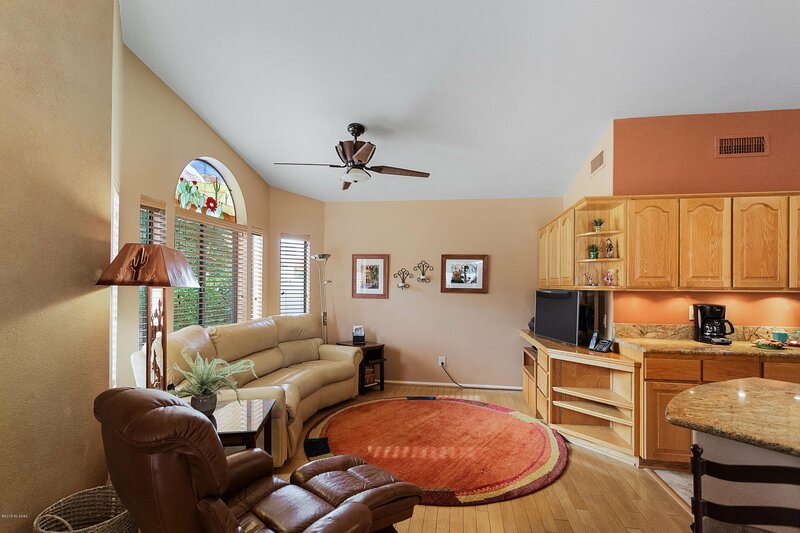 Custom ent. 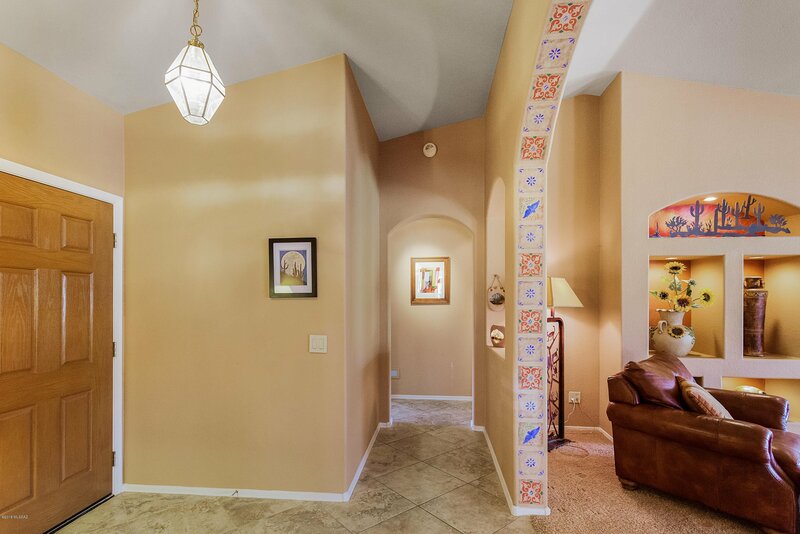 wall anchors GR spanning back of home. 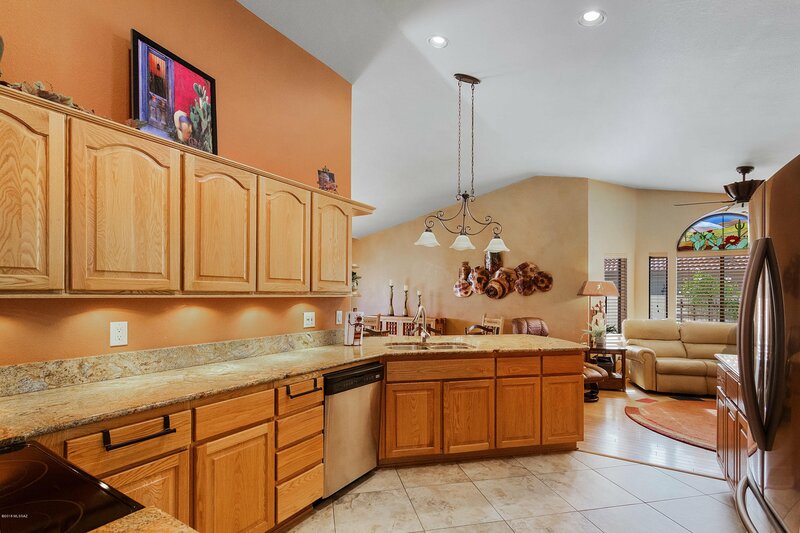 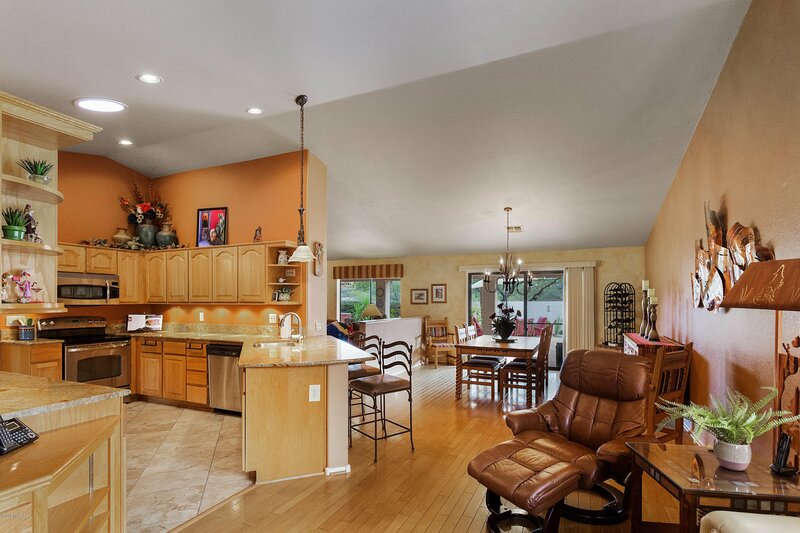 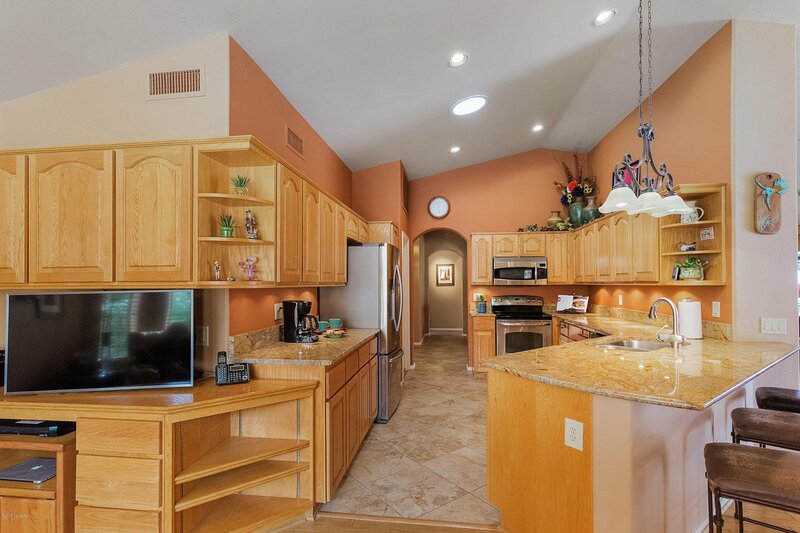 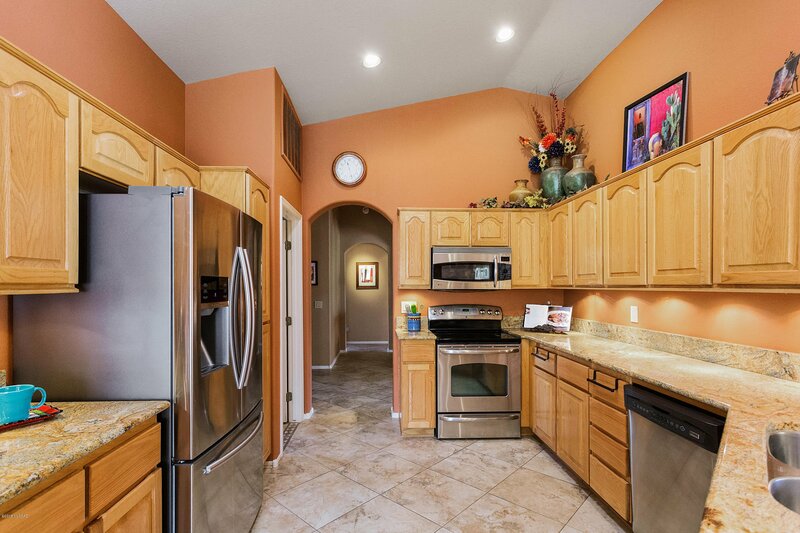 Updated kitchen w/SS appliances & granite tops. 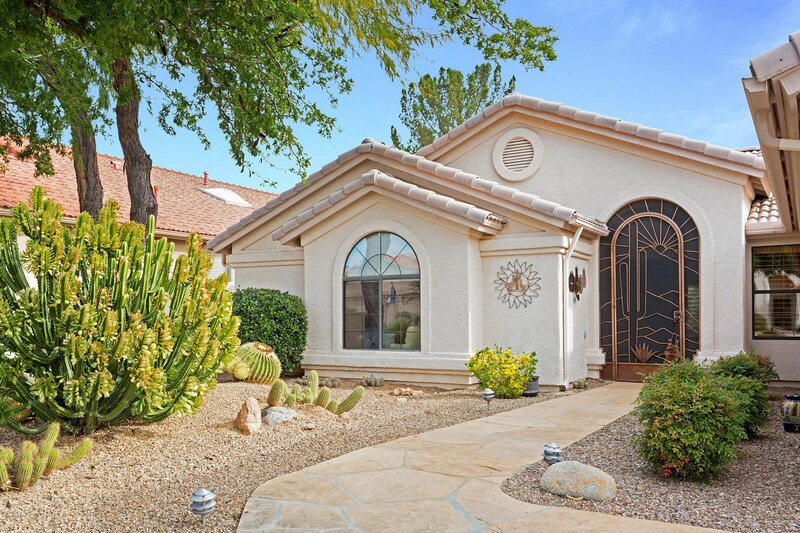 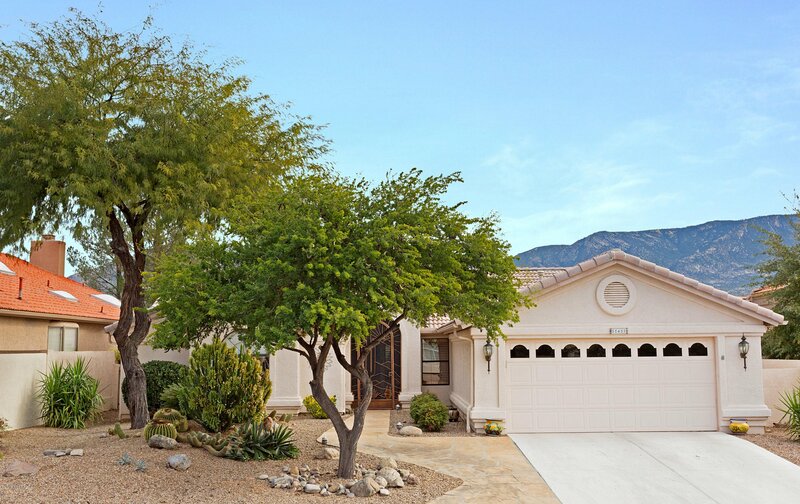 Charming curb appeal w/flagstone walkway & custom iron gated entry. 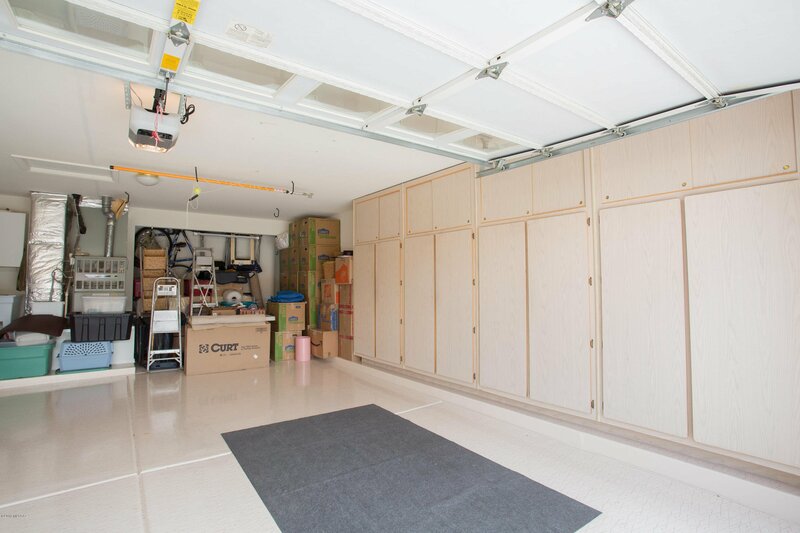 Pristine epoxy-coated extended garage w/storage fits 2 cars & golf cart! 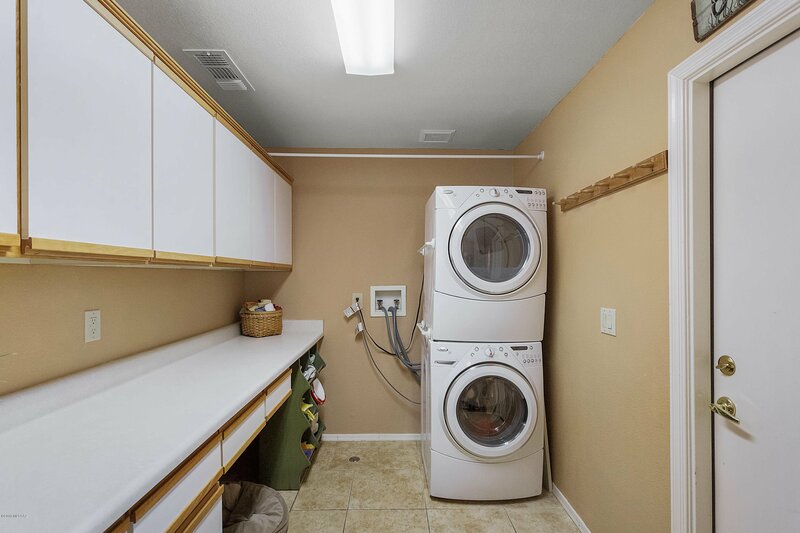 Lg laundry rm doubles as butler's pantry or hobby room. 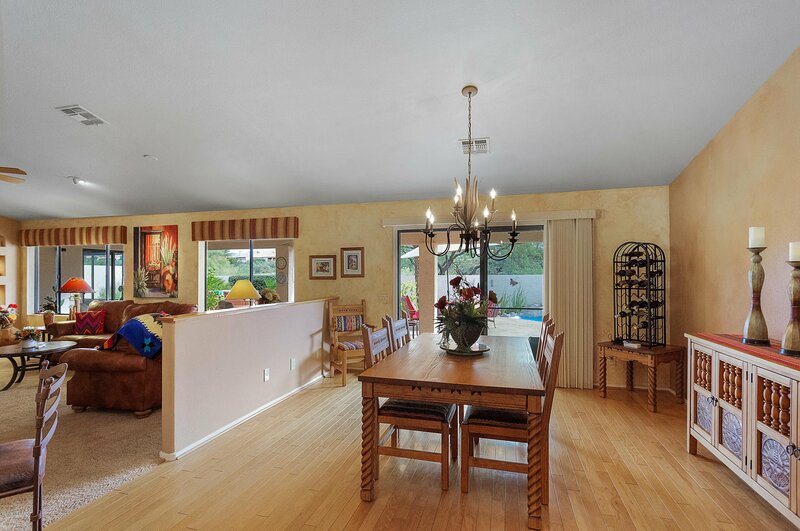 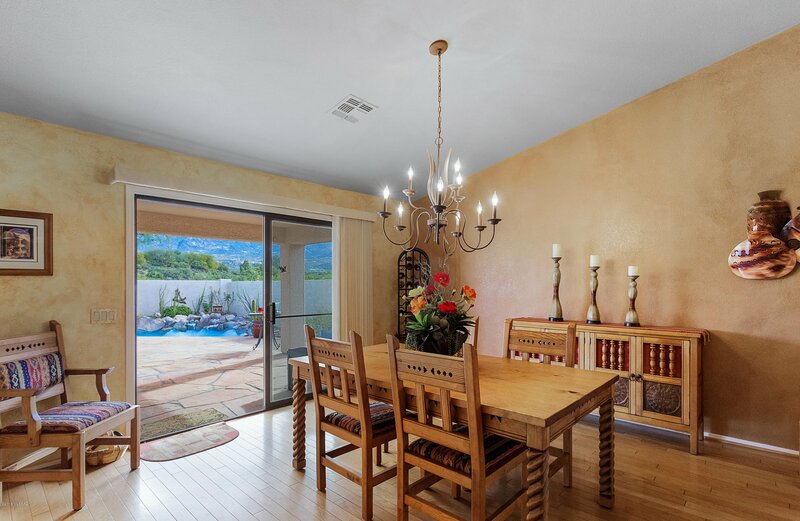 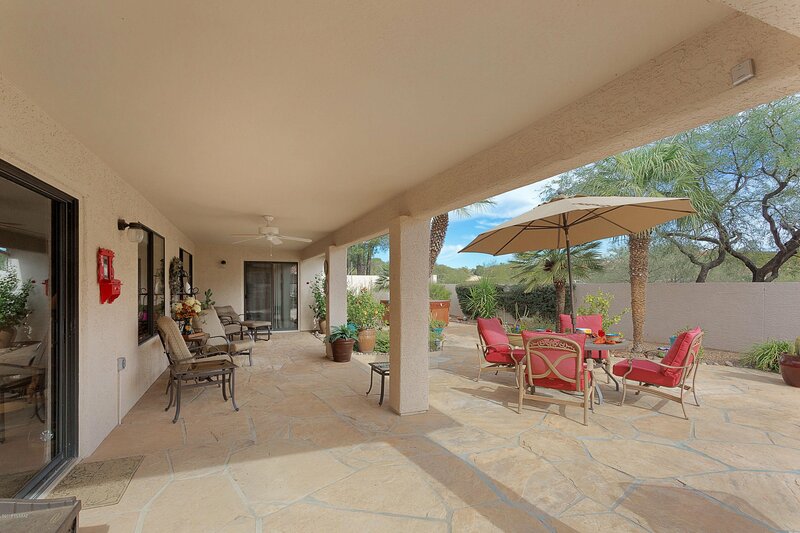 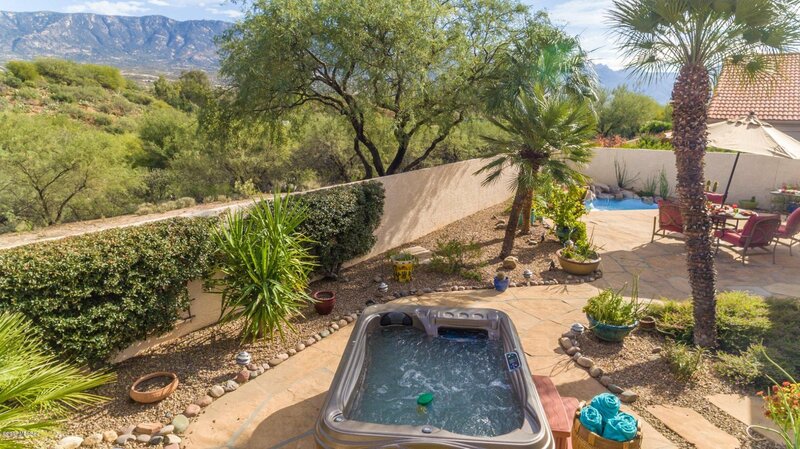 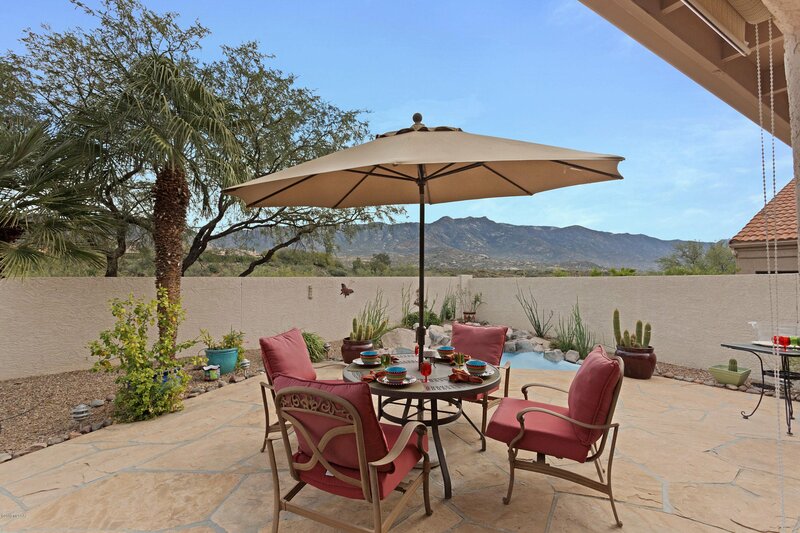 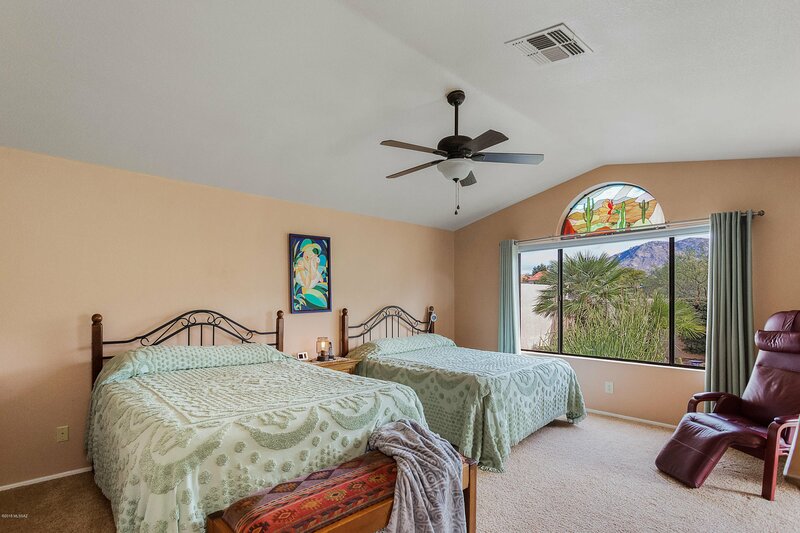 Wake up to Mt views in private Master w/slider to patio, steps from like-new therapeutic spa. 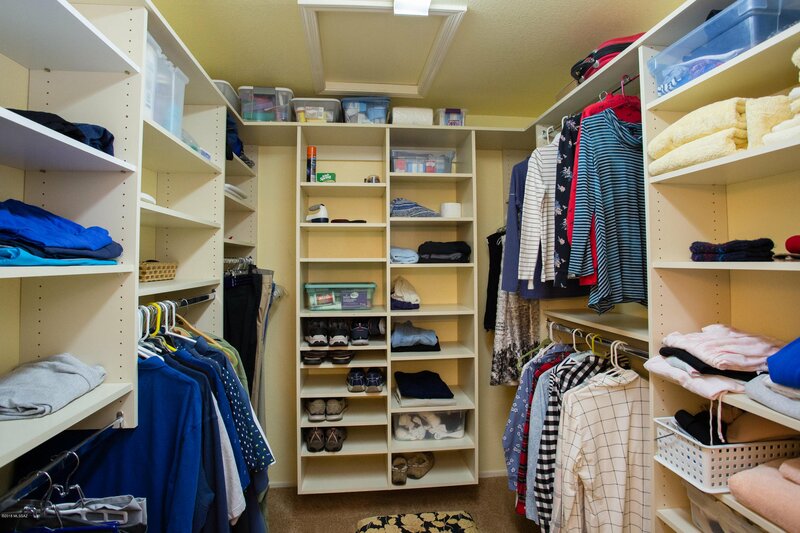 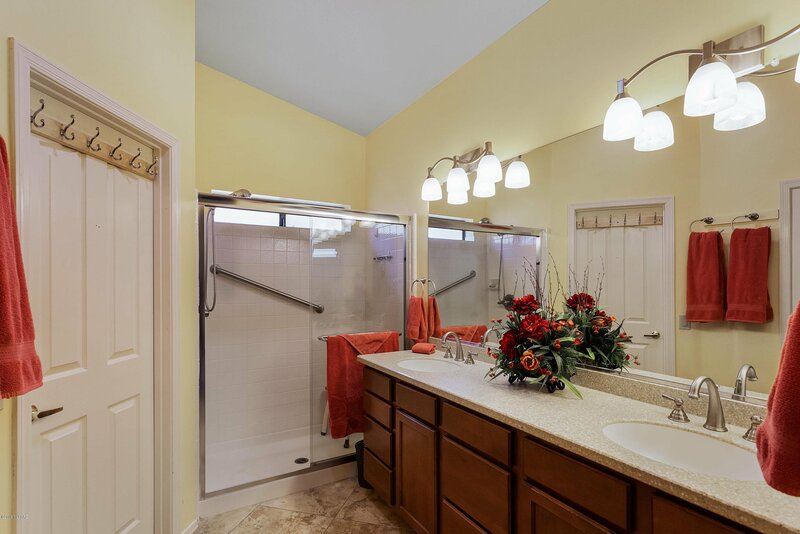 Lg custom closet w/walk-in shower & dual sinks. 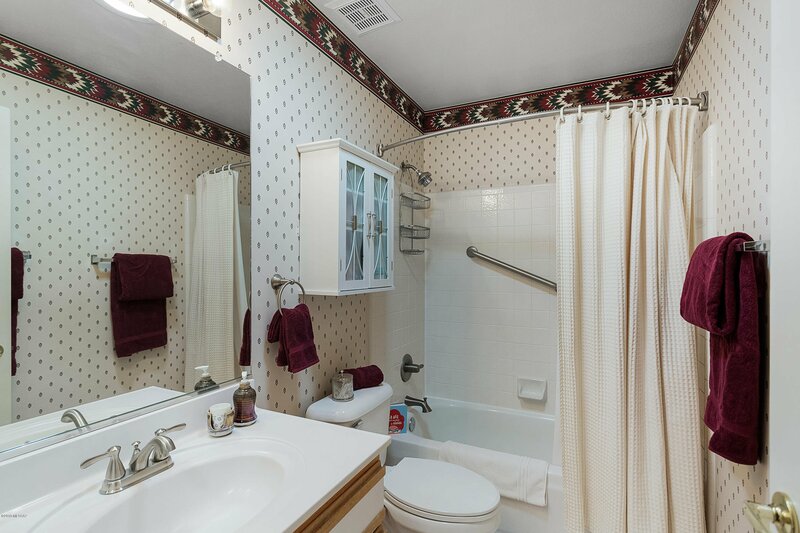 Den (or BR 3) buffers BR 2 w/Hall Bath. 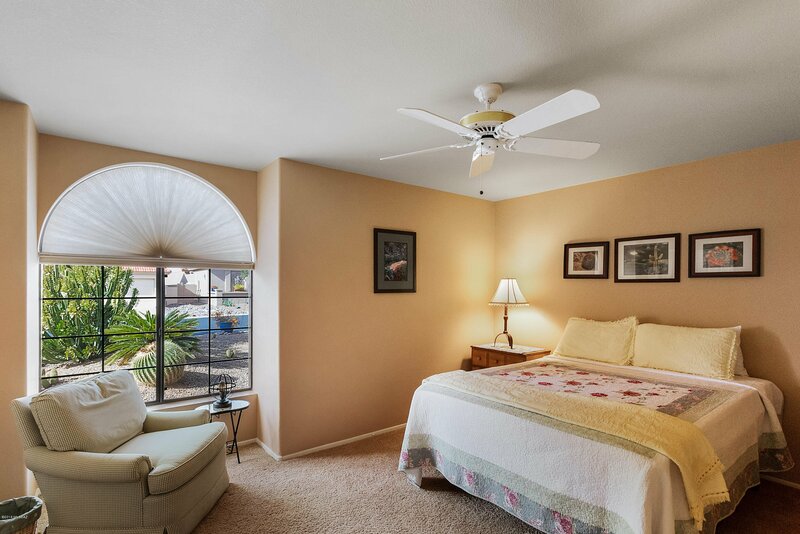 Pre-inspected & Move-In Ready! 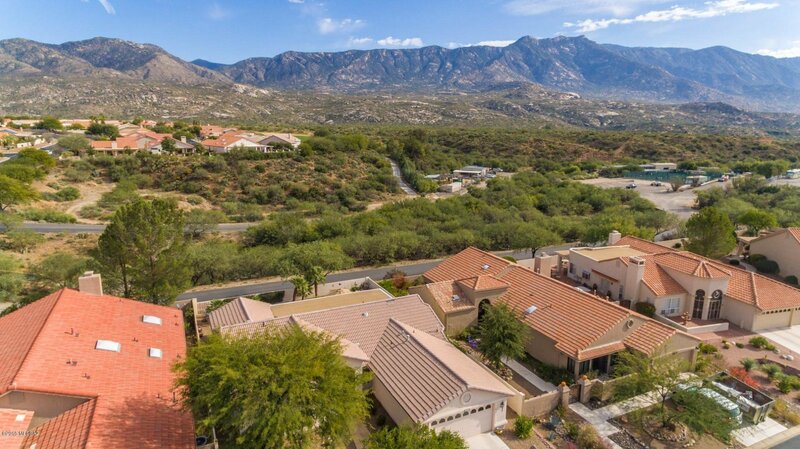 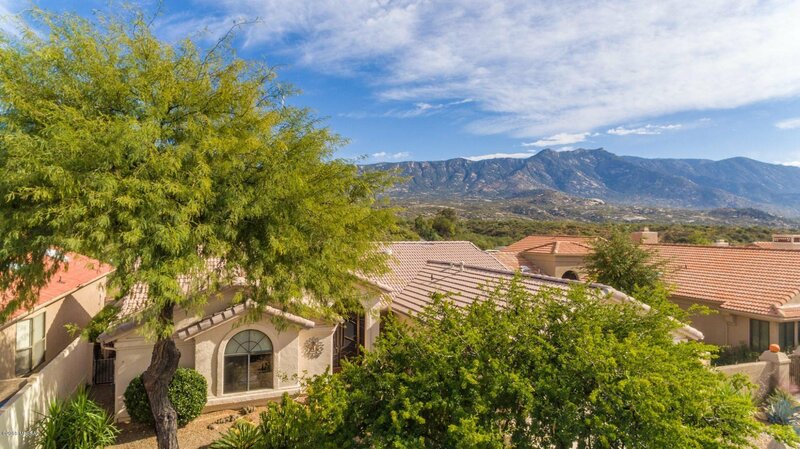 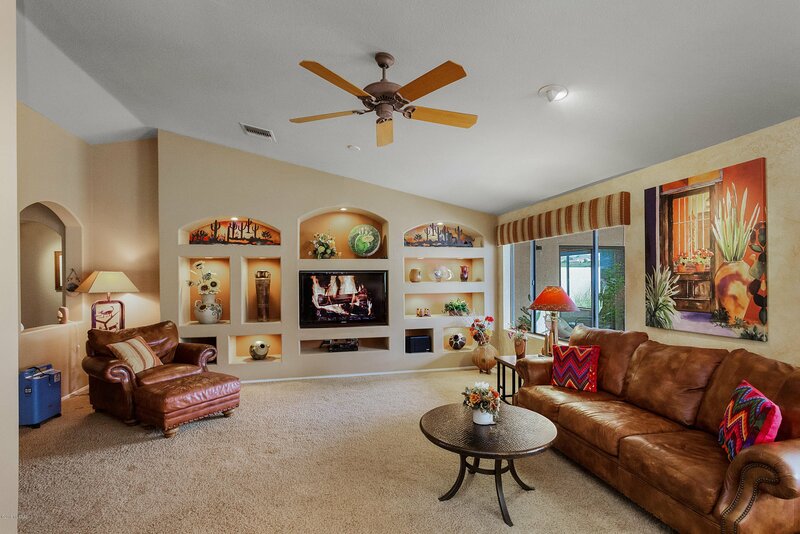 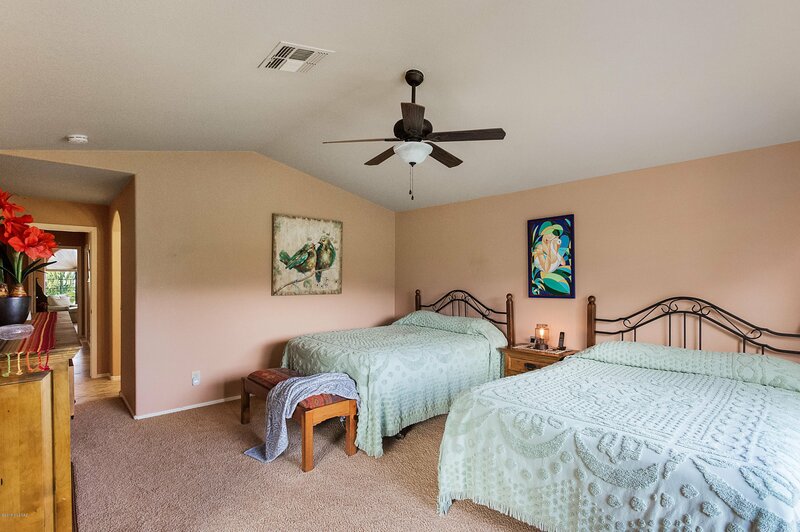 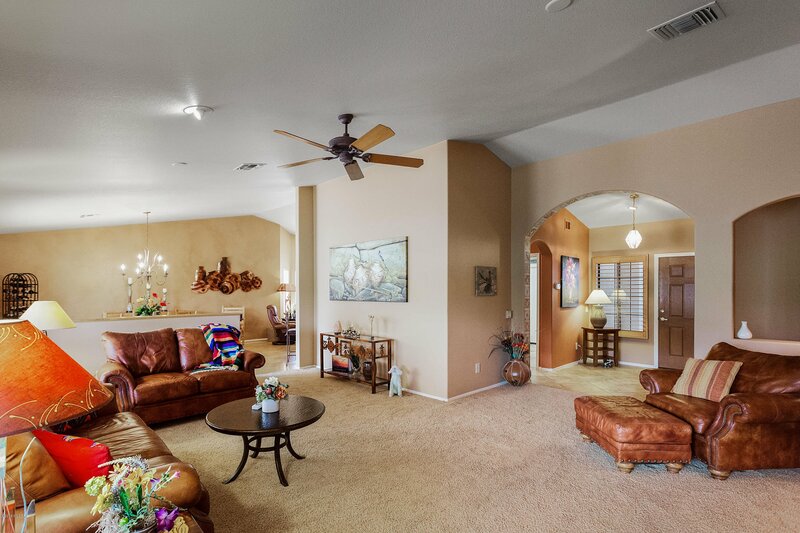 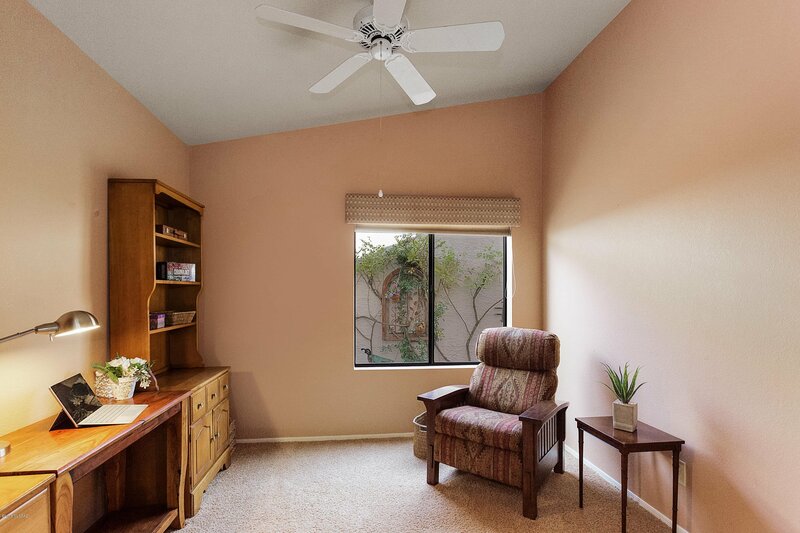 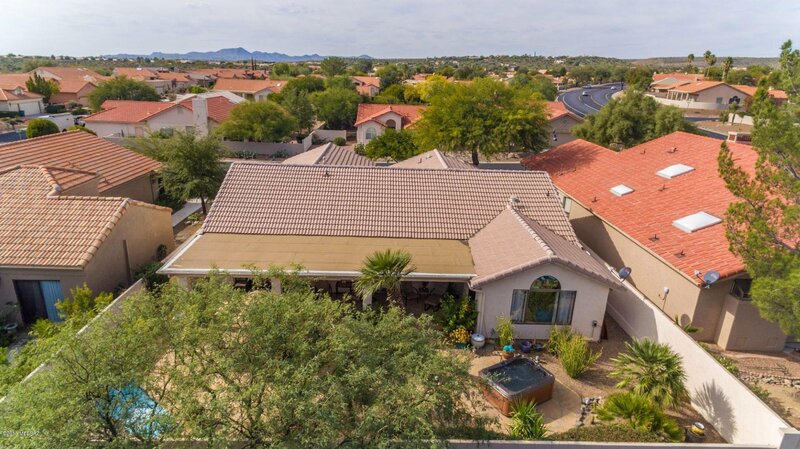 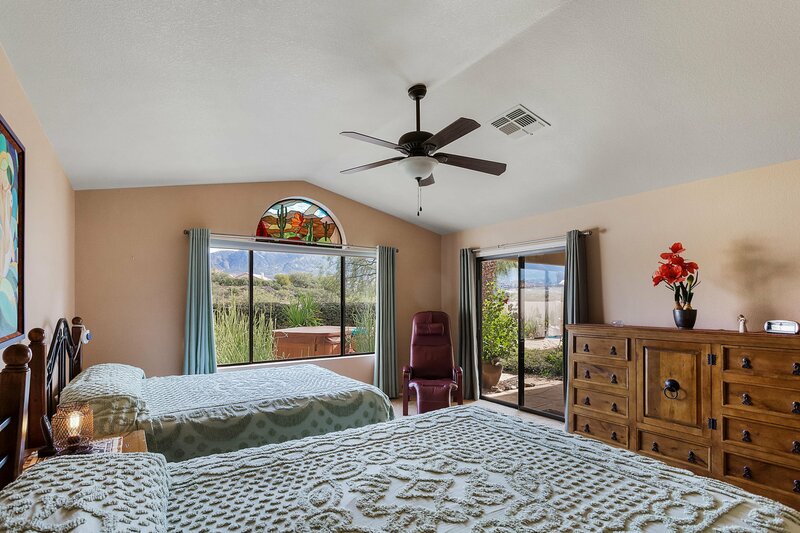 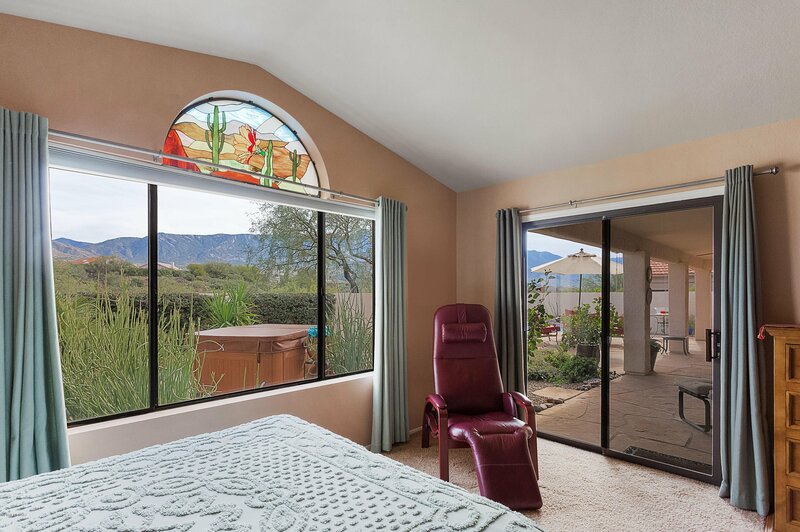 Make this gem in the high desert your retirement dream come true in Tucson's #1 Active40+ Community!